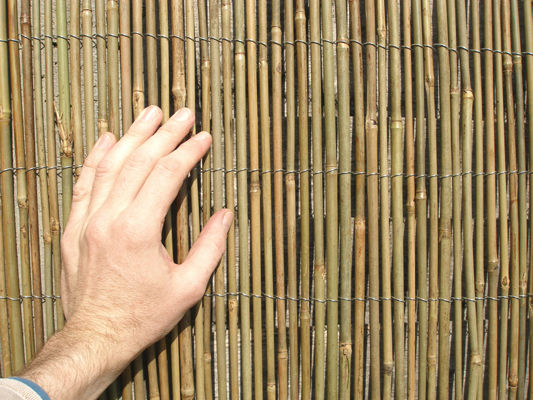 This robust and eco-friendly bamboo cane fencing screening roll will make a perfect practical addition to your garden. It is popular as a way to improve existing fencing and frame flower beds. 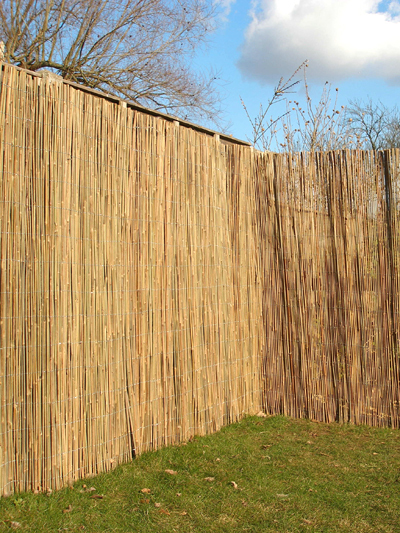 The bamboo is strong enough to increase the height of existing fences and can be used on its own or attached to an existing fence. 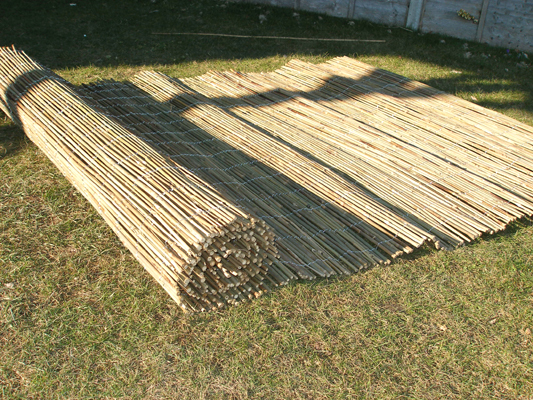 These bamboo cane screening rolls can be attached to garden fences, stone walls, chain link wire fencing, arbours and anywhere else in your garden which requires screening or shade. They can be easily attached to wooden garden fences using galvanised garden staples at the top and bottom of the screening. This screening is not only ideal for disguising walls and fencing, but can also be used over arbours and pergolas, creating a soft shaded area beneath. The bamboo canes are held together with galvanised wire. 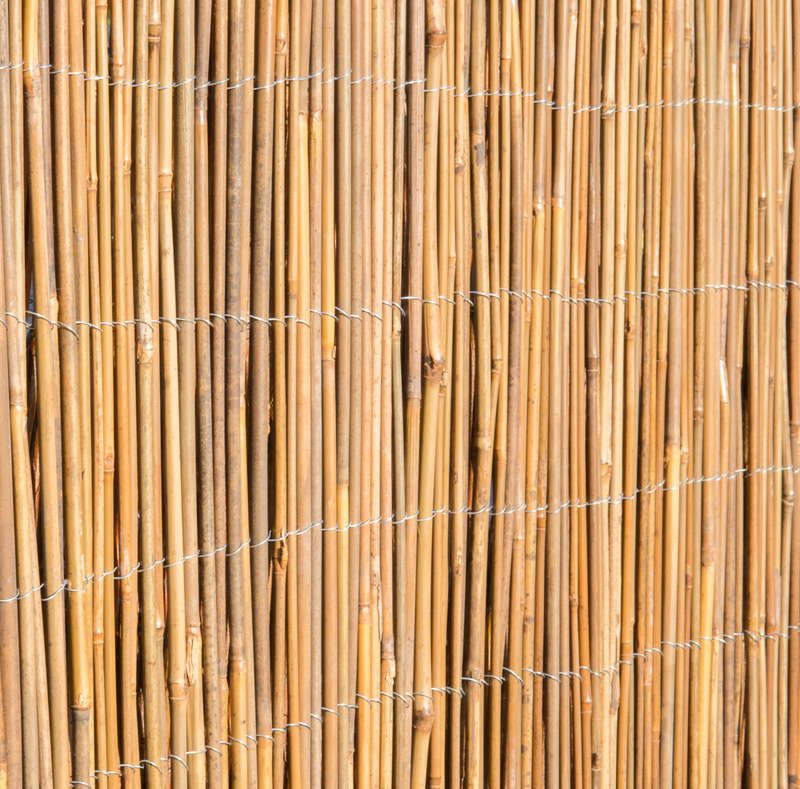 Bamboo cane is strong enough that it can be used to increase the height of an existing fence or wall. For example, if you had a 3ft wall or fence, you could firmly attach the 1.5m roll (4' 11") to the existing fence to increase the overall height to 1.5m. Each roll is made of individual vertical bamboo canes. The average width of each cane is 9mm, varying from approx 5mm to 15mm. The canes are tied together with horizontal galvanised wire. "The screen canes we bought were much scarcely spread that in the picture, leaving a lot to see through. Would not buy again." "Exactly how described good for a screen"
"Good quality bamboo cane, very robust and strong and nice colour." "Good quality ordered one needed more"
"Perfect screen for the balcony"
"not used yet but appears to be good prpduct"
"Packaged well and product was as advertised." "Is top quality stuff. Looks great in garden"
"Does what i hoped it would do looks very nice"
"deliverded as shown and on time allocated"